Hello, I’m Shuntaro Nakajima, Mechanical Engineer Intern at exiii. Some of you might remember that, back in July, we published a blog post about how to make Project North Star Simplified. After 6 month, I updated this with a higher resolution display. So please take a look and update yours as well if interested! This is the original tweet I referred to. In ver.1, the resolution was 320×480 per eye, but it’s now updated to 1080×1200 per eye. I will show you how to do this update with the minimum changes possible. This is the link for previous version of Project North Star Simplified. In this post, I will only show necessary changes from ver.1. So if you haven’t built ver.1, please check the post above first. In this update, you need to change following 3 parts. 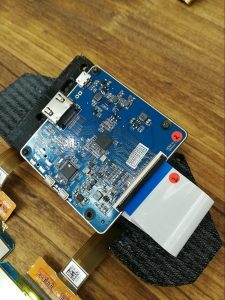 While we used an LCD for Raspberry Pi for ver.1, we replaced it with a 3.81-inch 1080×1200 AMOLED, which is available at Alibaba. 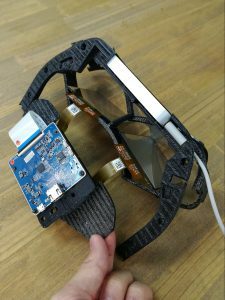 although the size got a little bigger and displays are now more likely to contact with cheeks, it is not a big issue for practical use. 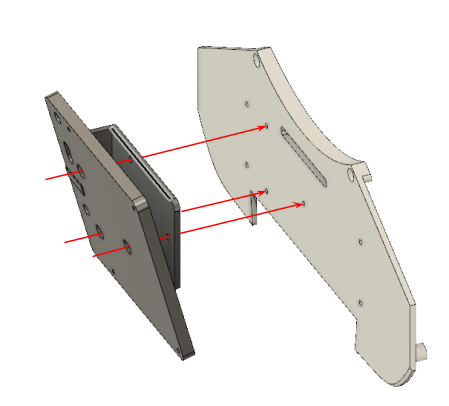 For ver.1, we created two sets of LCD Holder A and B in order to standardize fixing components of left/right displays. 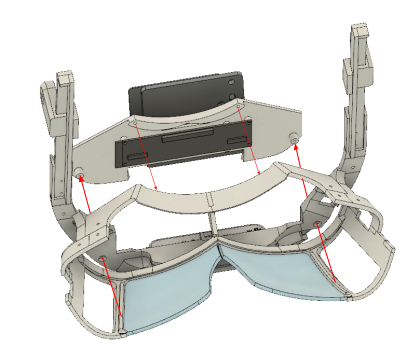 However, for ver.2, we gave up the standardization to keep the distance between displays, and we combined A and B, naming OLED Holder L/R. The driver board for the OLED we use for ver.2 comes separately from the display, unlike the LCD for ver.1. 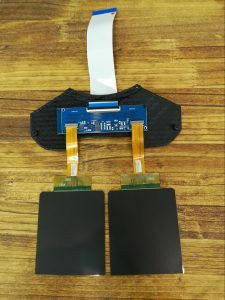 Therefore, instead of Top Cover, we need to make new parts, Distribution PCB Holder and Display PCB Holder, in order to fix the driver board. Also, by changing the display and adding the driver board, now you will have 1 HDMI cable and 1 USB microB-USB Type A cable. For power source, please read the Setup section below carefully. 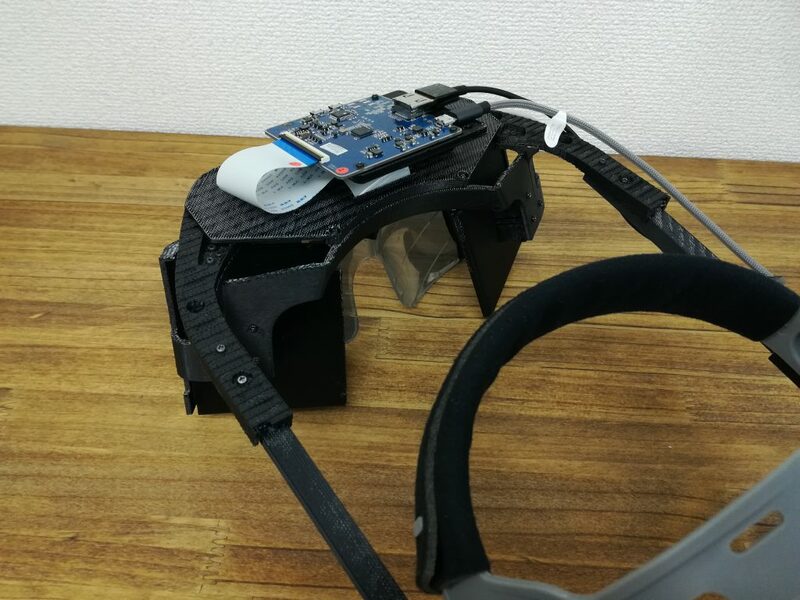 Let’s start from ver.1 with LCD left/right, LCD Holder, LCD Cover removed from the headset. 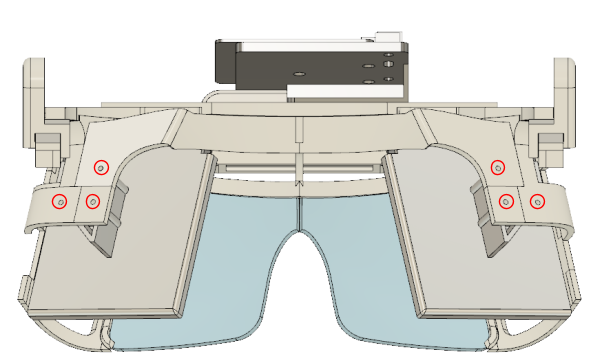 You don’t need to remove Head Gear and Slide Rail, but it is going to make your assembly easier. 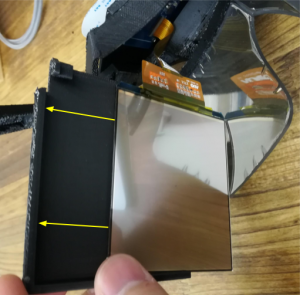 Put the flexible cable of OLED through Distribution PCB Holder and fasten them with screws. Attach Display PCB Holder to Distribution PCB Holder with screws. 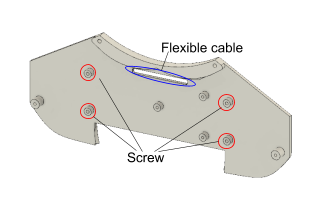 Attach the flexible cable put through Distribution PCB Holder to the PCB. Then fix the PCB to Display PCB Holder. 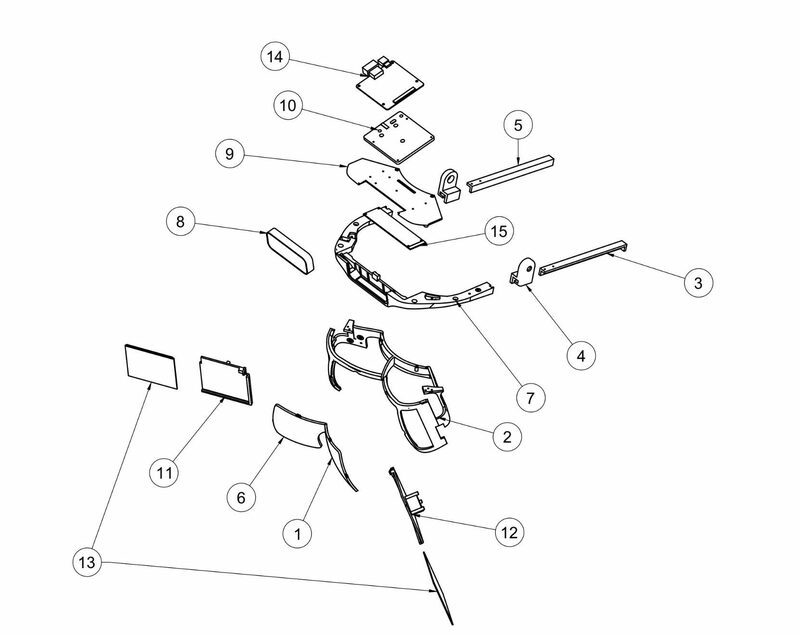 Insert the display from the upper part of Reflector Holder. 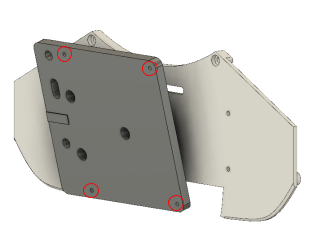 Fasten Distribution PCB Holder and LMC Holder with screws. 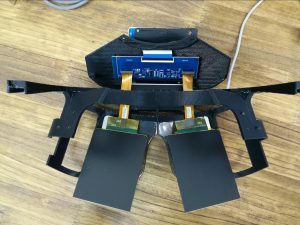 Slide and put left/right displays to OLED Holder. Fasten OLED Holder to Reflector Holder with screws. Power needed for the OLED displays were bigger than expected, and power supply from PC is not enough. We recommend to use AC adopters or mobile batteries. We used an AC adopter with 2.4A. Since the size of display is changed from ver.1, we need to calibrate. The calibration for ver.1 is introduced in the blog below at STYLY Developer’s Blog. How was it? 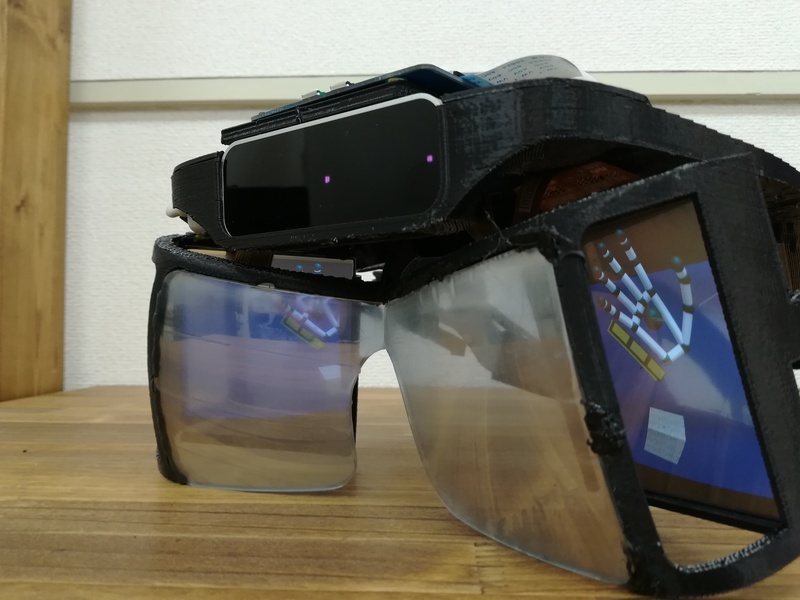 If you could successfully make it work or have any comments, please share on SNS with hashtags like #LeapMotion #ProjectNorthStar #exiii. As a result of this update, we could see more detailed texture in AR without a disturb of display’s grids, which is really exciting experiences. 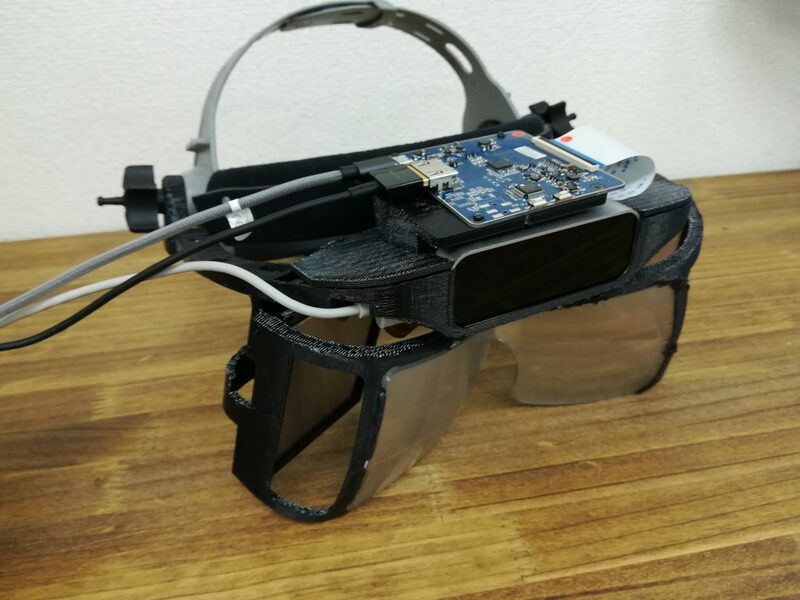 We hope a lot of AR enthusiasts try building this headset and movement spread out.